Difference size available. Please contact us for details. The Shelly recliamed solid Elm wood Bookshelves is designed by STOCKROOM, crafted to excellent standards and is made from high quality solid Elm wood. It is ideal for any contemporary, rustic or country home. Reclaimed Elm wood has a fresh contemporary look and would blend well with other items in a room, enhancing colours and patterns. The Shally bookcase has multiple storage racks. Superb for displaying and storing books or decorative items in the living room or study room. A classic contemporary design, the bookshelf is receptive to many different decor styles thanks to it's easy but elegant design. *color accuracy varies depending on monitor calibration, real samples are available in our show room. Some woods will mellow with age and exposure to sunlight. When you are purchasing our furniture you are buying handmade furniture where varying degrees of distressing is generally applied. This is very much intended and makes each piece totally individual as desired by the craftsmen. We sell only genuine rustic designs with varying degrees of distressing from piece to piece; this may involve wood splits, wood filling, knots, purpose distress/scratch marks, antiquing etc etc. Certain degrees of filler will be used on oak furniture this is common and very much part of the manufacturing process. Please note that our wooden items are usually of a very rustic nature and a heavy distressing is usually applied, this may appear as a dulling or rubbing effect to the waxed finish, knotty and grainy woods are used, this is as intended by the supplier. 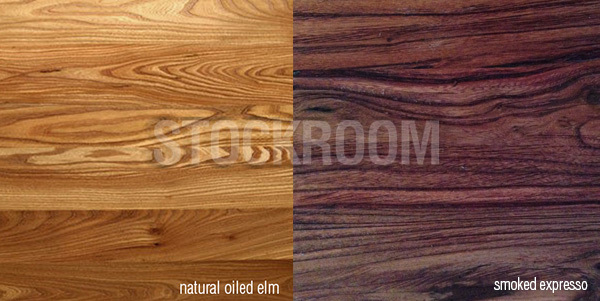 Note: natural characteristics of solid wood (grain patterns, knots, wood splits, wood filling, knots, purpose distress/scratch marksand variations in colouring etc.) are not considered to be faults - they are part of the unpredictable beauty of nature! Wax Oil is sometimes used to even surfaces - this is also not considered a fault. It is worth mentioning that wood is hygroscopic. This means it will adapt to the moisture in its environment. The wood used for our furniture is always dried to the correct moisture levels, and the pieces are constructed to structurally withstand movement. Nevertheless changing moisture levels in the environment may result in small amounts of movement throughout the year. Please see our notes in ‘Wooden Furniture Care’ for more information. All our wood furniture packaging are using Wooden Packaging Boxes.